To enjoy the promotion, you need to go, goo.gl/RJfdoW and insert promo code <FOC2WIFI> on the SECOND page of the reservation form. You need to have a minimum of 4 days rental to enjoy the 2 free days. 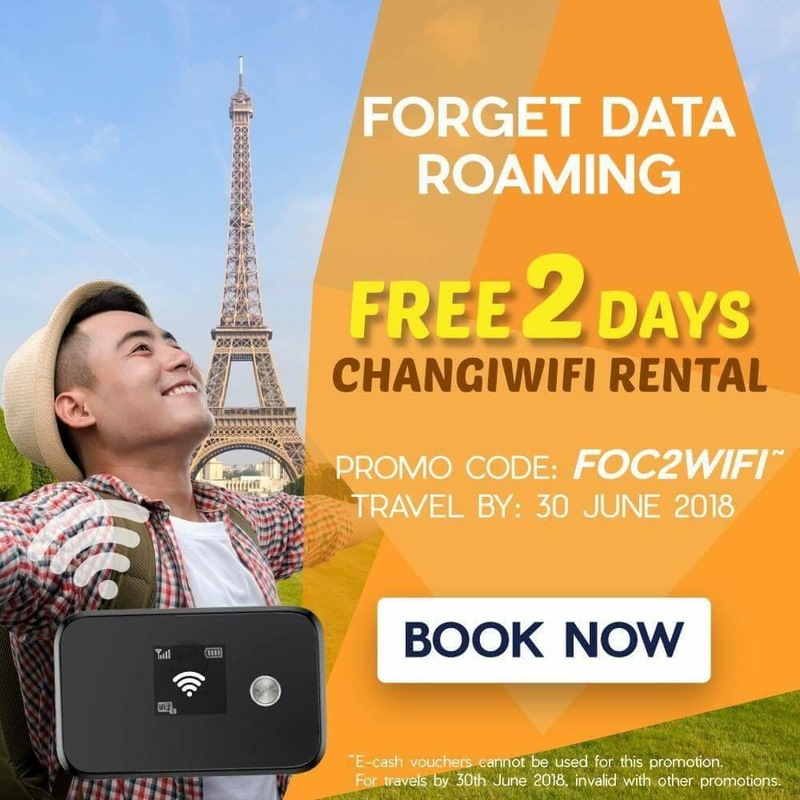 Forget about data roaming, save money with the Changi Wifi and share data with friends or family members during your holidays.